If you don’t know Edgar Muller by name, you more than likely know him by his street art. The German artist shows his stuff below in a time lapse video on one of his works called The Crevasse. 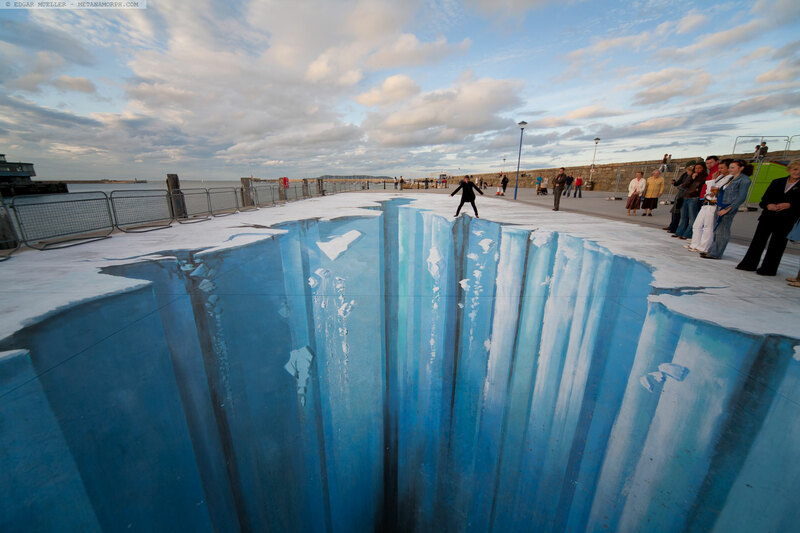 Julian Beever is also another well-known street artist. Chances are you’ve gotten a mass email with the subject line “This is amazing!!! Now forward on to 50 of your closest friends.” I don’t usually forward anything, but these guys are worth a little hero worship. Check out some of their street art to the left. View more art and learn about Beever.